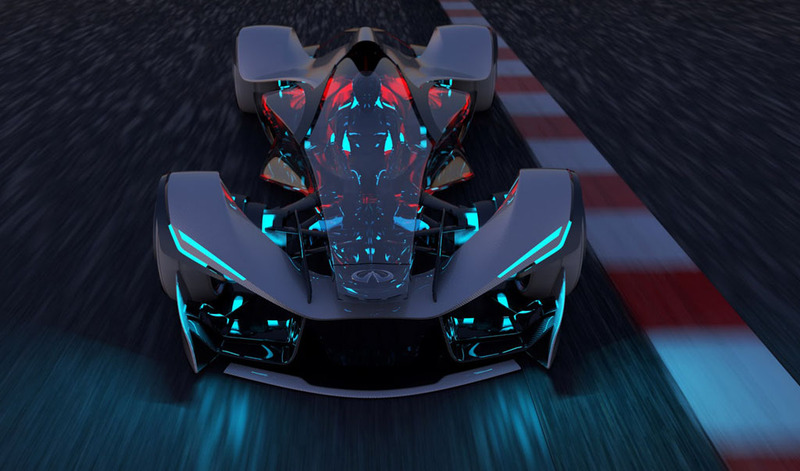 Overview: The Infiniti SYNAPTIQ is a modular racing vehicle which is designed to compete on the track, off-road and in the air. The cockpit section of the vehicle remains the same, but the rest of the vehicle is swapped out for different racing environments. 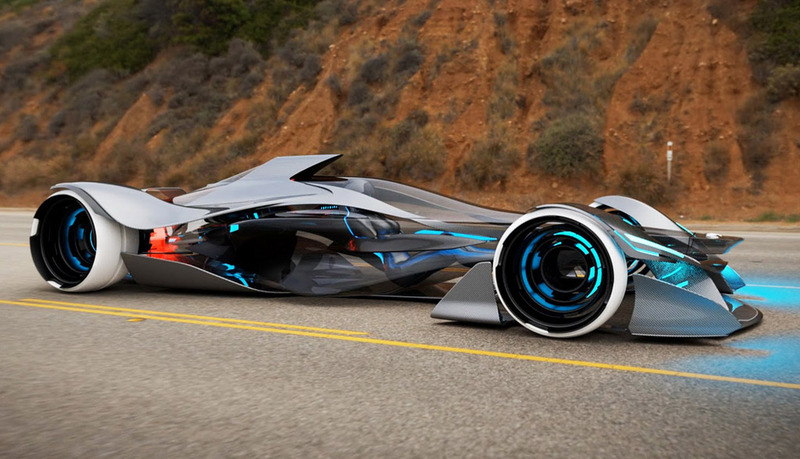 The SYNAPTIC concept is designed to compete in a fictional future racing series called the A.R.C. 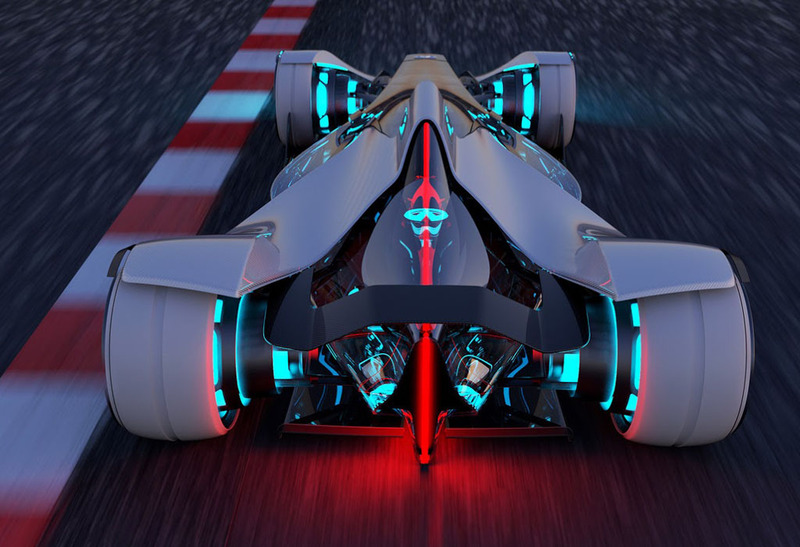 Race, which sees competitors racing on a road course from Los Angeles to Las Vegas, they then convert the vehicle to an off-roader and speed off to the Grand Canyon. From there the vehicle is rebuilt yet again, this time as a high-performance aerobatic aircraft for the final leg of the race back to Los Angeles. 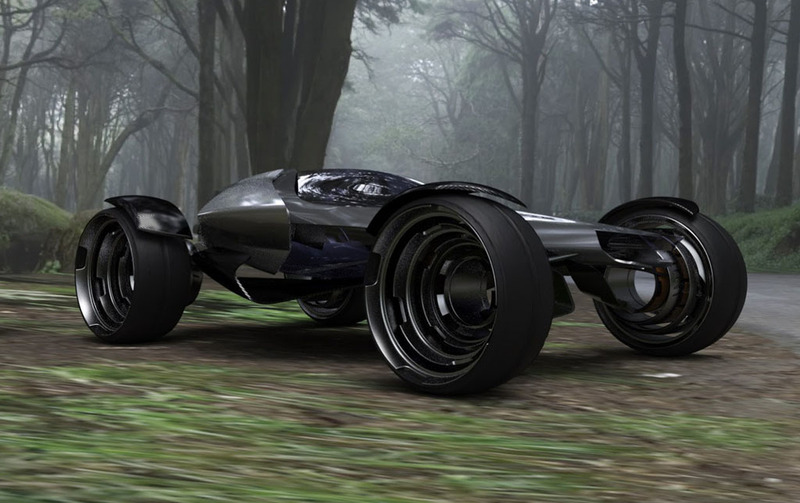 The driver/pilot of the Infiniti SYNAPTIQ controls the vehicle by way of the SYNAPTIQ S.U.I.T. (Symbiotic User Interface Technology), which is connected directly to the vehicle to make man and machine function as a single unit. The S.U.I.T. is woven with synthetic muscles that both enhance the driving experience and give tactile feedback to the driver. Inside the fuselage, liquid crystal canopies are enhanced with an augmented reality system and 3D displays that actively display relevant information for the pilot.